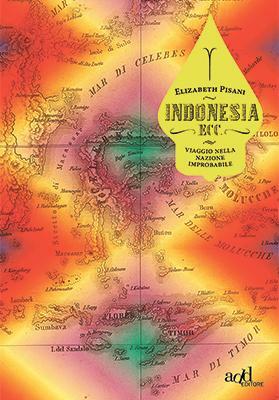 The best thing about Elizabeth Pisani is that she shows us that it is possible... possible to be a respected epidemiologist and also a reckless adventurer. To travel solo to the remote corners of one of the most diverse countries in the world. To learn from everyone you meet along the way. To write a 416-page tome weaving seamlessly history and personal anecdote. In short, Pisani is the kind of woman that makes you feel empowered. 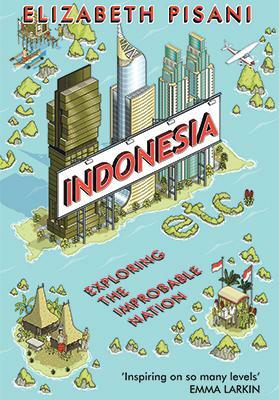 The book, called Indonesia Etc: Exploring the Improbable Nation is a travelogue taking on an unconventional Indonesia beyond the familiar Jakarta and Bali. 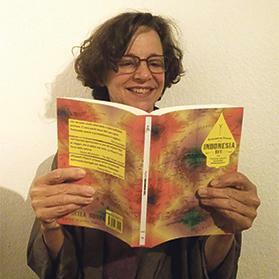 It is a unique instrument which allows the reader to understand how a complex nation can be held together in plurality. It also demonstrates how big themes such as democracy, corruption, historical revisionism, religion, unity in diversity apply to Indonesia. Pisani is a tiny woman with a cosmopolitan attitude and theatrical gestures. Her eyes widen in a feisty way when she speaks – looking a bit like a friendly version of Rangda – the demon queen from traditional Balinese mythology (even though Bali hardly features in her book). She lived in Indonesia at various times during a 25-year period. Her rule for the 13-month trip on which Indonesia Etc is based was “just say yes to everything”. This attitude modified her way of seeing the world. “Working as an epidemiologist specialising in HIV, I had a very cynical perspective on humanity. 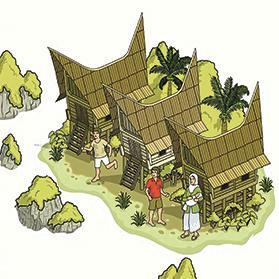 The research trip for the book and the openness of the Indonesians changed everything. It taught me to have faith in people,” she said. How did the idea for the book first come to you? It came out of frustration. I’ve lived in Indonesia on and off for many years. I’d be back home in New York or London for a cocktail party and people would ask where I was based. When I said Indonesia I’d just see their eyes glaze over. They couldn’t even point Indonesia on a map. I wanted to be able to give them a book and say: here, read this, this explains why it is so fascinating. And there was no book like that. So in the end I tried to write it and honestly in the process I understood why there was no such a book. It is just impossible to write. The country is so diverse, so difficult to capture even in your own head, let alone on the page. In that sense, how did you decide what to include in the book and what to leave out? As an epidemiologist my method has always been to look to the particular and see if from the small you can explain a bigger issue. So I choose the places that seemed to me to illustrate a point that was of importance in understanding Indonesia as a whole. I’m very old fashioned, so I carried notebooks with me, and when one was full I’d send it back to Jakarta for safekeeping. I ended up with 18 notebooks. Did you already had some themes in mind and then went looking for the right situation or did they emerge as you travelled? Working and thinking about Indonesia for 25 years I had stuff in my head, but I deliberately didn’t decide to cover specific topics. Another way we epidemiologist work is through the principle of random selection of your study subject. In the end if your sample chosen at random is big enough, it is the best representation of the population. I, basically, did a random selection and what came out most often was what was most relevant to contemporary Indonesia. But then I had moments of real panic, because some of the things that were in the Jakarta bubble of perception never came up. I wondered if that was because I haven’t been to enough places... certainly not because I haven’t talk to enough people! Particularly religion was something present in all of my travels, but it wasn’t an issue in the way it was perceived by the political elite in Jakarta. Religion was the only subject I intentionally researched, because otherwise it would have looked like an oversight. How did you organise the material then? This is a confession that I’m such a nerd! I actually coded my anecdotes through a software called Avivo. Otherwise you are just struggling with this big bowl of jelly! I typed out my notes and I coded them by theme. The coding process helped me interpreting the material. I realised that some funny little stories were actually about a bigger issue... for instance corruption, historical denial or environment degradation. But you wrote another book before, right? Yes, and the first book was like when I won my first horse race at 16. I thought I was really talented, but then realised I would not have that luck again. I have been writing my first book in my head for 15 years and the whole thing just came out in three months. And I thought writing books was easy.This experience was very different. 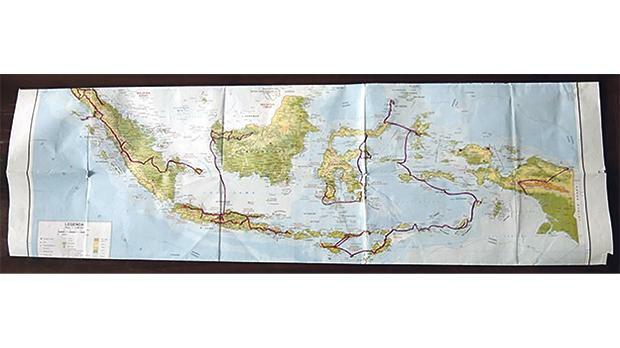 For Indonesia Etc I budgeted for four months on the road and four months writing. It actually took 13 months on the road and, after I finished travelling, it took a year-and-a-half to write. By the end of my 13 month trip I was exhausted. I had slept on the floor of a palm oil plantation, lived in my own head for months and months at the time, without being able to have the kind of discussion that would help processing what I was seeing. A major theme in the book is the role of corruption. Can you go a bit into that? What I really learnt was that Indonesians are politically incredibly sophisticated. Their relationship with democracy is remarkable, considering that they only had the chance to vote for 15 years now. And they have a very advanced understanding of corruption. There is the sort of corruption which is taking money that would be used to build a hospital, and using to go whoring in Singapore, and for that Indonesians will throw you out of office in a nanosecond. That is theft. But the kind of korupsi that is giving a job to your cousin is tolerated, unless it is to the excess and becomes nepotism. Indonesia is incredibly democratic, people vote for everyone, from the village head up to the President. It is all directly elected now. And there is an expectation of exchanging favours as long as different groups will alternate in that process. If you take negotiation out of the system in a country which so diverse, then the majority will always rule and there is no qui pro quo to protect the interests of the minority. I think that is dangerous. Frankly, I believe this is what we are seeing in other countries now. If every negotiation is seen as corruption because someone wins and someone puts something away, then democracy has an hard time working particularly in diverse societies. 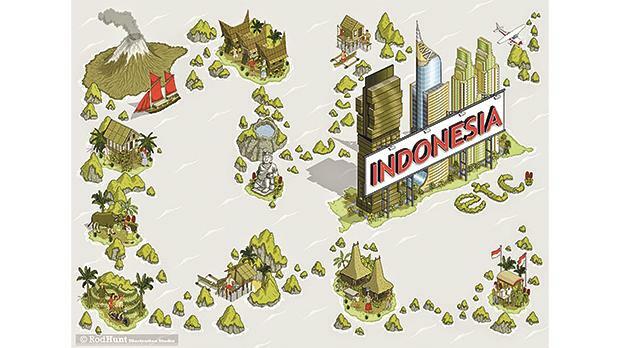 Looking at the wider geopolitical picture, what aspects of Indonesia are most relevant to modern times? The issue is managing pluralism. That is the issue. You see it in Europe, you see it in the US and Indonesia has been doing it for 70 years since independence. And that’s a very hard problematic issue right now... there is a rising voice of a small minority of noisy people who have presented themselves as Islamists and representatives of the Muslim majority. They consider pluralism as a threat. What we can learn from Indonesia is how to manage pluralism without suppressing the dissent.